Tagged under Bishoujo Senshi Sailor Moon, Cats, Waifu, Mascots. The talking black cat who offers Usagi Tsukino the brooch that transforms her into Sailor Moon. Luna is serious most of the time, but still laughs at Usagi whenever she's in a pinch because of her own mistakes. Despite that, she has an almost motherly attitude towards her and scolds her very often while at the same time training her to be a better senshi. Out of everyone, she gets along best with Artemis and Ami Mizuno. 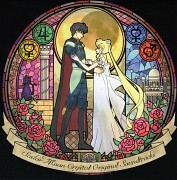 In Crystal, Luna warns Usagi repeatedly not to get close to Tuxedo Kamen, believing him to be a possible enemy. 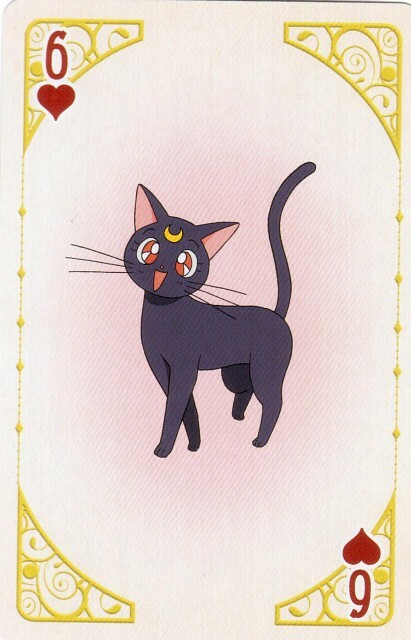 In the Classic anime, Luna always appears as a cat, but she is briefly turned into a human in "Sailor Moon S: The Movie". So far, she has only appeared as a cat in Crystal. 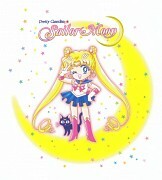 Luna also appears as a Senshi, though only in the live-action series.